Struggle to organize their backpacks, binders, or computers? Forget to bring materials to class? Struggle to break down tasks and create plans? 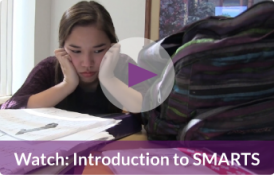 With SMARTS, you can help your students learn strategies to succeed.